Consider joining our interesting and enthusiastic group of more than 130 men dedicated to raising funds to assist Indianapolis area charities. In addition to raising money through casino parties, members meet each Wednesday at the Knights of Columbus just west of Keystone Ave. on 71st St. for lunch, conversation and to hear from an interesting guest speaker. Members who are golfers meet on a regular basis to enjoy playing at various courses in the greater Indianapolis area. 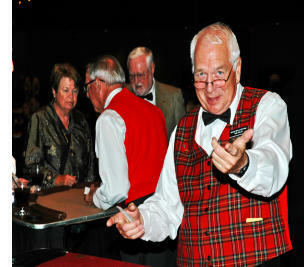 The club also hosts six social events each year for members and their wives. Associate memberships are available for those who would like to participate in casino parties and social events, but do not have the time available to attend the weekly luncheon on a regular basis. For more information, contact membership at 317-767-4640.